The property comprises an end of terrace ground floor retail unit currently arranged to provide front sales area and partitioned ancillary storage space plus WC. The property benefits from parking available at the roadside and a rear loading bay/parking area accessed via a shared service road. 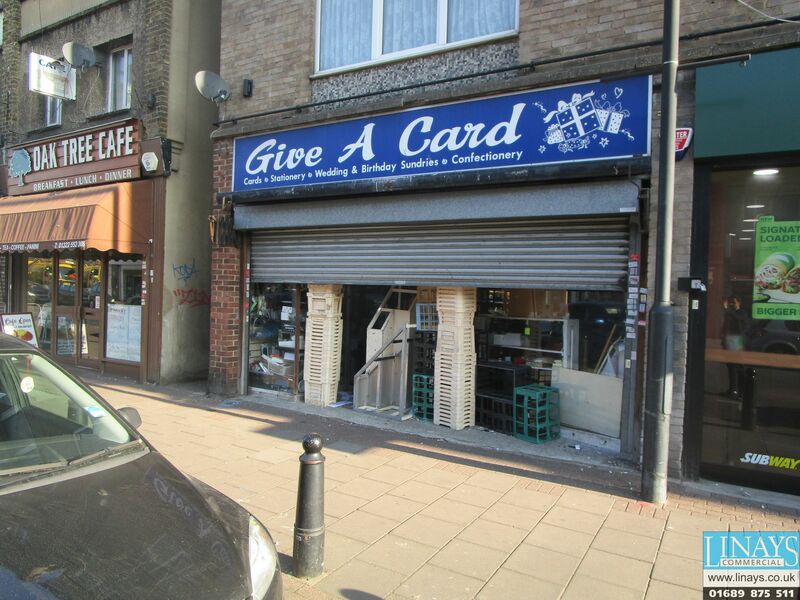 The property is situated on the north side of Crayford Road which is one of the principal retail thoroughfares serving the town centre. Occupiers close by include Gregg’s, Barclays Bank, Iceland and Coral Bookmakers. The Tower Retail Park is situated nearby where retailers include Next, PC World, Curry’s, Boots, Pets at Home, Sports World and McDonald’s. On street parking is available within close proximity and 390 spaces are available within the adjacent retail park. The premises are available to let on the basis of a new effectively full repairing and insuring lease for a term of years to be agreed at a commencing rent of £15,000 (Fifteen Thousand Pounds) per annum exclusive.